Is retirement good for you or bad for you? A neighbor who lives directly below me in my condominium building wakes up before 6 a.m. each morning, gets dressed, skulks outside and on some days begins looking for parked vehicles of neighbors he doesn’t like. Under the protective cloak of a cover of darkness, he removes a key from his pocket, walks alongside those cars, and ensures the key he’s holding gouges a line six to nine feet long in the finish. If he really doesn’t like someone, while strafing the long line in the paint job, he will dig the key in with such force that the paint on either side of the furrow literally stands at 90 degrees off the surface. For a change of pace, he’s been known to plunge a jackknife into one of the tires of folks he doesn’t like, or rip their car’s antenna from its moorings. That this psychopath is on the far side of 70 would surprise many people. This isn’t the kind of behavior one expects from a senior citizen. But ironically, I can attest this was a much better guy when he was younger — and had a job. Since retiring, though, he’s had nothing to do all day. So he apparently sits around from sunup to sundown, imagining enemies and ways to get even. Just think. At the hour most people are getting ready to head off for another productive workday, this guy who spends every hour of every day not working is out making their lives even more challenging by vandalizing their cars. This isn’t the first time I’ve seen retirement leave an older person much the worse off. Anger, depression, domestic problems and social isolation are a few of the pathologies I’ve witnessed in folks who have “hung ’em up for good, ” presumably so they can spend every day dwelling deeply on negatives. If it sounds like I’m not a huge fan of the retirement concept, you’re right as rain. I think retirement is one of the worst ideas anyone ever devised. That someone should spend her life in productive work where she is socially engaged and rewarded for her labors, then chuck it all to start a new chapter with vastly diminished challenges and social engagement is absolutely loony. “Is retirement good for one’s mental health? The evidence is all over the place, ” the report discloses. “A new study of the United States and 11 European countries finds that it improves subjective well-being, measured both in terms of satisfaction with one’s life and the incidence of depression. 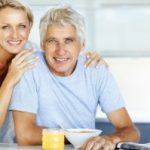 Based on preliminary findings across a dozen countries, the study concluded that retirement reduces depression, has a significant positive effect on life satisfaction, and that incomes have relatively little effect on retirees’ levels of depression or their satisfaction with their lives. The entity that funded this research? That would be the U.S. Social Security Administration, through the Retirement Research Consortium. Again, based on what I’ve seen of a good many retirees, a more accurate picture might have been painted in a June article by Paul Irving called “Retirement is bad for your health, and your wealth.” The article’s message? The retirement years aren’t what they once were, and that might be a very good thing. 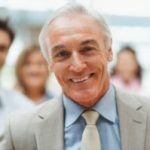 “It’s clear that the old model of retirement — days of decline and disengagement, a period of withdrawal and mass leisure — is thankfully on its way to being retired, as our goals and values change with the times, ” he wrote. 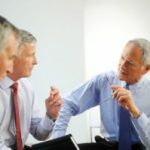 Engaging, enjoyable and purposeful work after age 66 can mean income, and that in turn spells less worry about outliving savings, which in turn is likely to bring enhanced health and longevity. 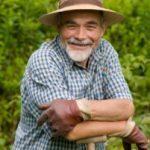 “Work is good for self-esteem and for purposeful, financially secure and healthy aging, ” Irving concludes. I’m not surprised the downstairs neighbor in my building hasn’t gotten this message and found something to keep him busy. Why am I not surprised? Well, he has never impressed me as the sharpest instrument in the drawer. The same can’t be said for his key and switchblade. I think retirement will suit me just fine. I will finally have the time and energy to pursue my real interests in life (music, photography, video, travel, reading, etc). Right now, I only get to do it a few hours a week, and usually after I’m already exhausted from the work-day and the commute and making dinner, etc etc etc. I really don’t understand people who retire and then sit on the sofa and watch tv. That sounds WORSE than working. I would argue that retirement is what people make of it; what you allude to is people who are forced or perceptibly forced into stopping what they’re doing. If you thing you have no say in the matter and your whole world is shaken to its core by stopping working then you’re right the effects will be negative. But on the other hand if you choose to retire to pursue other interests or vocations then you will probably end up being happier. At the end of the day I think it is a matter of mental stance to retirement that is in question.